The tourist fell for the oldest trick in the book: While the car offered to take his picture, the bus snuck up and took his wallet. Morgan Spurlock spends 30 days as a bus grill. 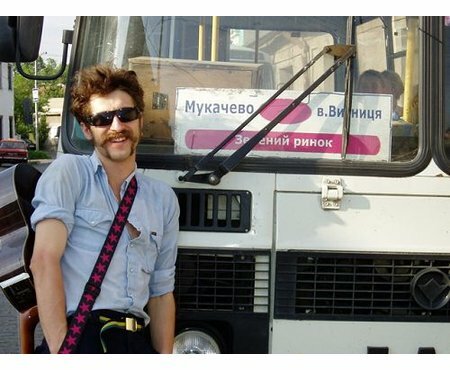 The bus driver was just milliseconds away from achieving his dream of bus-ramming a hippie. Russian folk sensation Mykayebo B. Bnuhnur. "Mommy! There's a man on that bus!"